Car makers are trying to imagine what the future holds for its vehicles. MOTOR shows were once the primary domain of all things new in the automotive world, but the Consumer Electronics Show at Las Vegas now captures the attention of nerds and revheads alike. Lines between man and machine are becoming blurred as functionalities which have seen smartphones take hold are being adopted by car makers. Here are the automotive highlights from this year's show. Giant drones are tipped to become a reality by midway through next decade. What traffic? 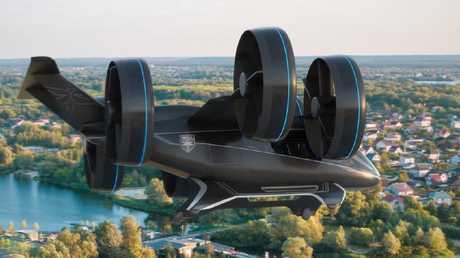 Helicopter maker Bell delivered the showstopper with its version of a flying taxi that will carry four passengers and a pilot. Oozing cool and tipped to become reality by the mid-2020s, the hybrid-electric Bell Nexus has six 2.4m-diameter tilting fans to provide vertical lift-off. "As space at the ground level becomes limited, we must solve transportation challenges in the vertical dimension - and that's where Bell's on-demand mobility vision takes hold," says Bell CEO Mitch Snyder. Claimed range is about 240km and it can travel at nearly 250km/h. 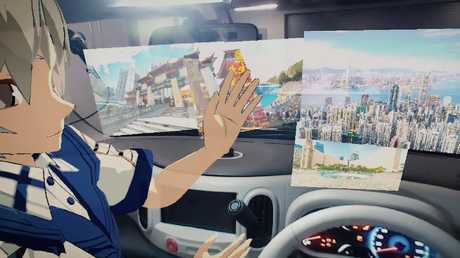 Nissan invisible to visible technology envisages having cartoon characters as company on trips. Imagine having a cartoon character as company on a long solo drive. 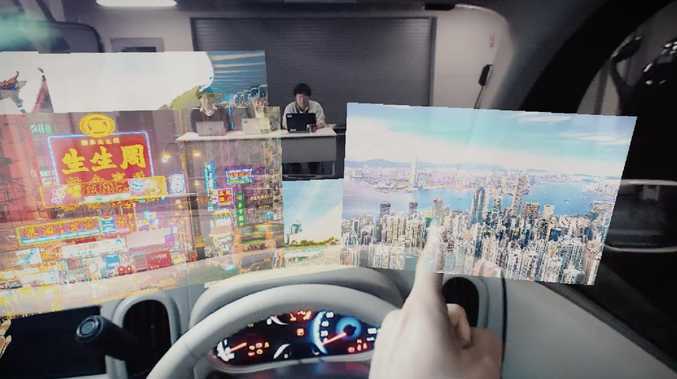 In Nissan's view of the future, augmented reality gets a 3D interface on steroids. Avatars providing company for lone drivers are among a swag of new tech revealed by the Japanese marque. Named Invisible-to-Visible, the tech combines data collected by the car's sensors and what's available on the cloud to help see around corners. It can build 360-degree maps to assist drivers navigate intersections and tricky road conditions as well as monitoring for pedestrians and cyclists. In autonomous driving mode, if the car is travelling through gloom and rain, the entire windscreen could be changed to depict a sunny day. .
Its introduction would require 5G or later wireless technology to be used in moving vehicles. Nissan's Leaf electric vehicle did a neat party trick - it was used to power the coffee machines. Claiming Transformer-like prowess, Hyundai revealed a blend of robot and car, called Elevate and dubbed an Ultimate Mobility Vehicle. 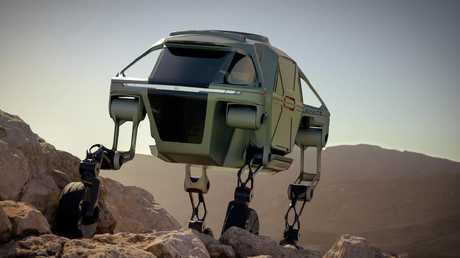 There was no live concept, just computer-generated imagery of what the maker reckons is the most capable off-road vehicle around. It's got legs. These can be stowed for regular driving and, when extended, they enable the vehicle to climb over a 1.5m wall or gap and travel forward, sideways and backwards while maintaining cabin equilibrium. Hyundai claims countless transport uses for it, including assistance in such natural disasters as fires, earthquakes, hurricanes or floods. "People living with disabilities worldwide … could hail an autonomous Hyundai Elevate that could walk up to their front door, level itself, and allow their wheelchair to roll right in," says Hyundai executive John Suh. Also handy if Bumblebee needs a hand … or legs. Driving guidance could soon have video game-like characteristics. 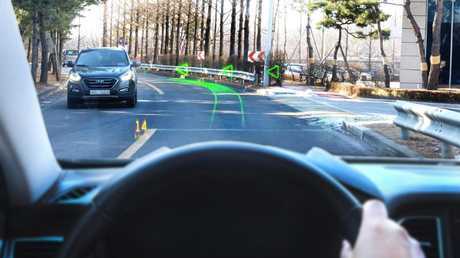 Hyundai, the parent company of luxury brand Genesis, is working with Swiss start-up WayRay AG to develop holographic navigation that surpasses conventional head-up displays. Instead of projecting speed and satnav directions on to the windscreen, this new concept - fitted in a Genesis G80 at CES - uses "augmented reality holographic powered glass" to display a stereoscopic image on the road. Kia's Real-time Emotion Adaptive Driving System would be able to sense your emotions. 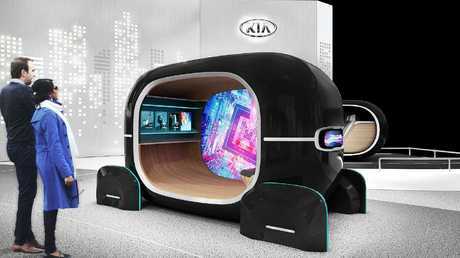 From the usual array of autonomous vehicles taking to the stages, Kia aimed to stand out by making its cars more responsive to emotions and gestures. The display pod, using the wordy Using a Real-time Emotion Adaptive Driving System, matched lighting, aircon and music to occupants' facial expressions, heart rate and skin feel. Its V-Touch feature uses a 3D camera to monitor their eyes and fingertips so they can change settings in the cabin - for example, to lighting, aircon and stereo - by pointing, pinching and turning imaginary buttons. Eliminating switches and buttons delivers a clean dashboard. The seats also vibrate so occupants "feel" the music. Previously, such tech was called a fully sick subwoofer. 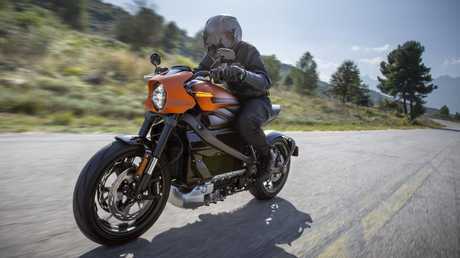 Even red-blooded American brand Harley-Davidson got in on the modern act, revealing the Livewire electric sports motorcycle. Powered by a lithium-ion battery good for a range of about 180km, it can rip from standstill to 100km/h in less than 3.5 seconds. It has a "futuristic" exhaust soundtrack and less vibration is assured. Launched at US$29,799 ($39,190) at CES, it is expected in Australia some time next year.